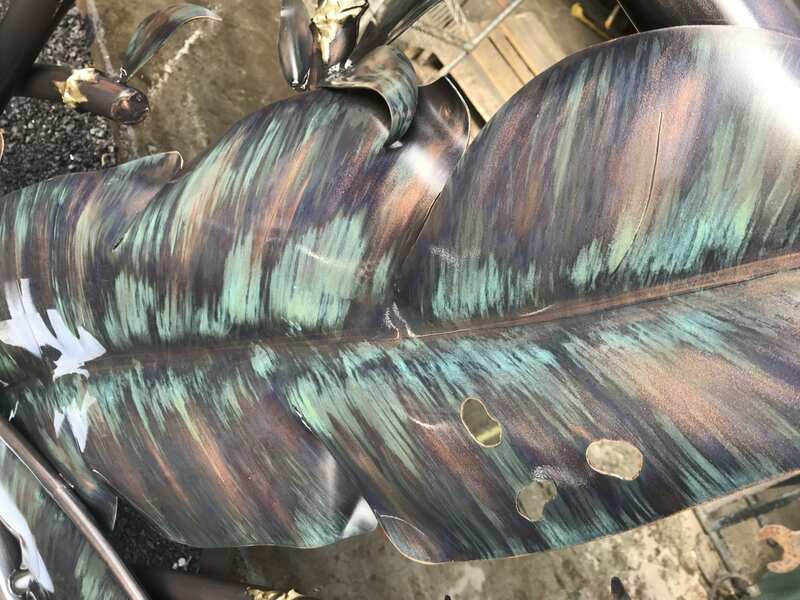 This week we welcome you to another installment of our “In The Studio” blog series featuring a new project on the table, another one-of-a-kind original Padilla design. 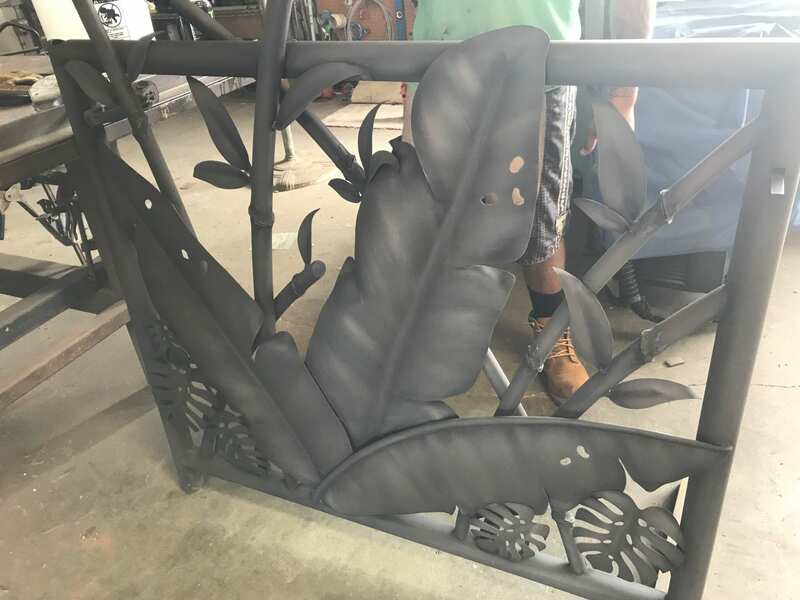 This stunning gate is a collaborative effort between a mainland based client and our design team. 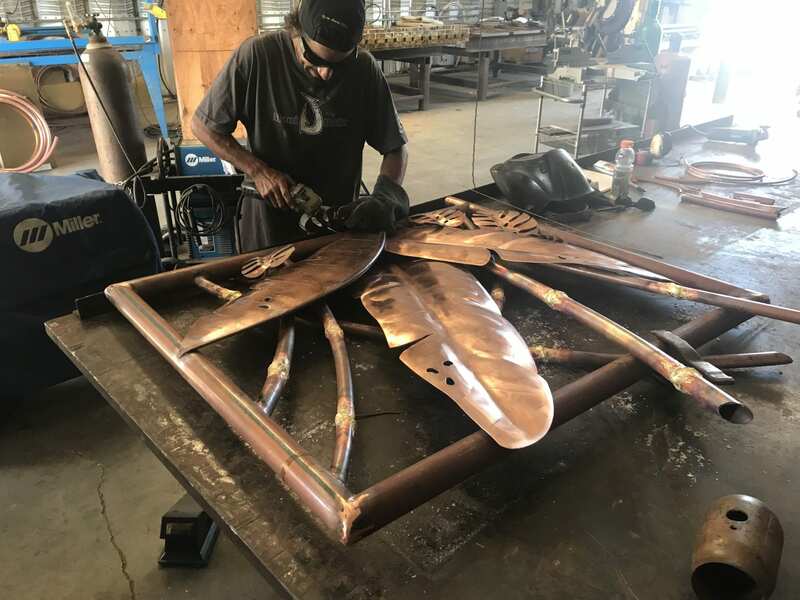 They came to us in search of a one-of-a-kind entry gate to be the focal point of their properties home-front in LA, California. 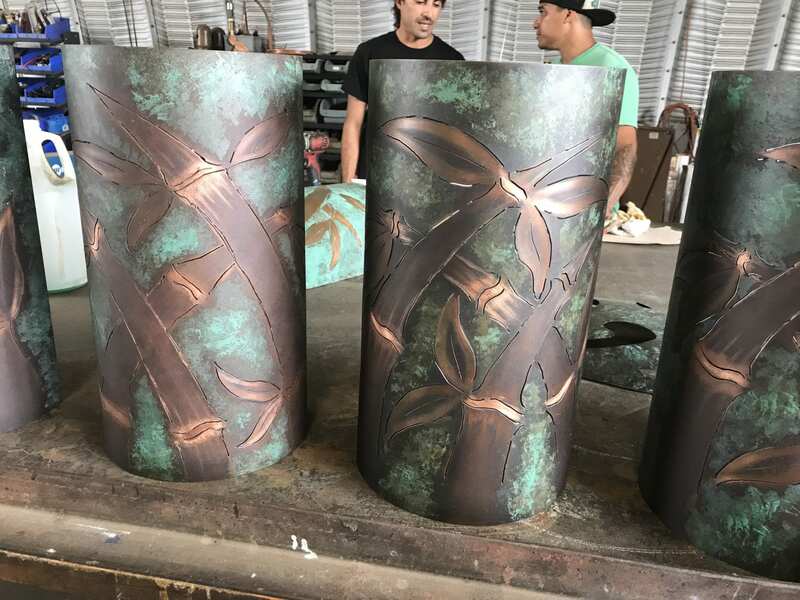 We knew they wanted a tropical motif, something to remind them of the islands where they frequently visit. 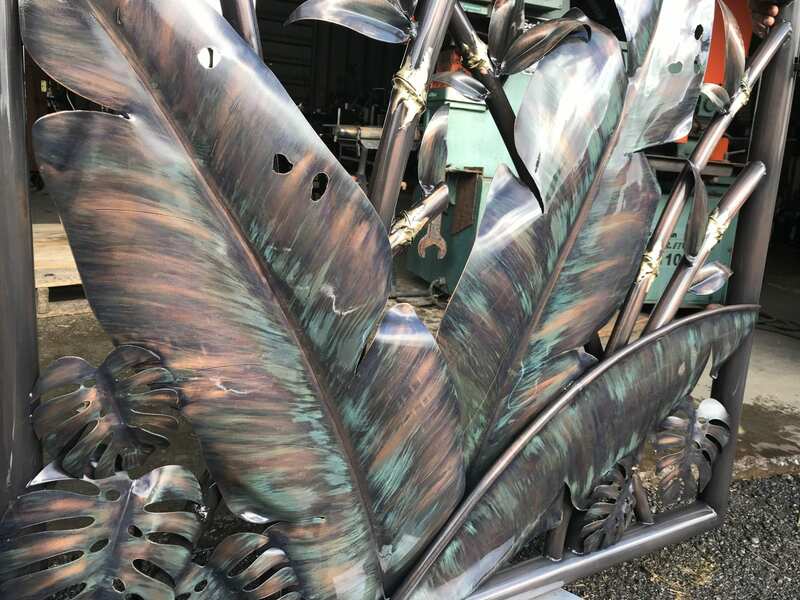 We incorporated our signature sculpted copper and brass bamboo along with sculpted copper banana leaves into the design. 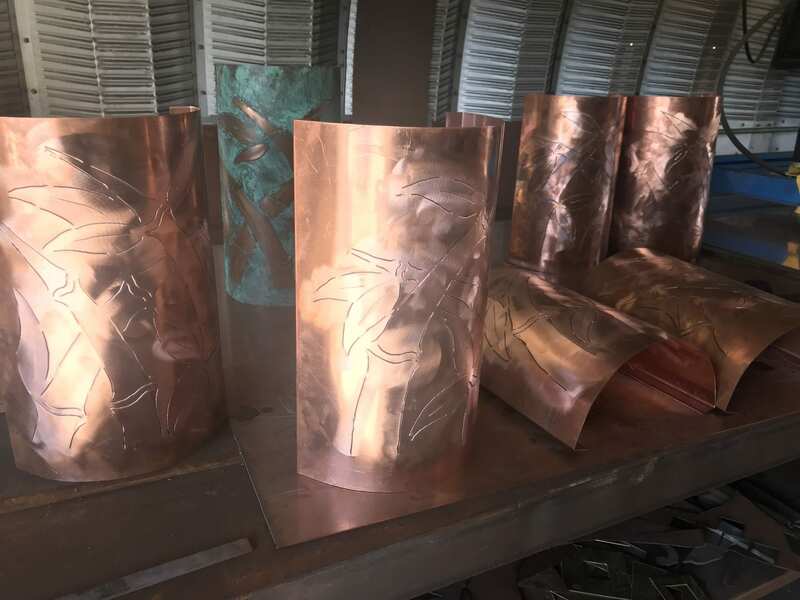 They loved the design we created so much, they ordered 6 additional back-lit copper sconces for the exterior of the house to match. 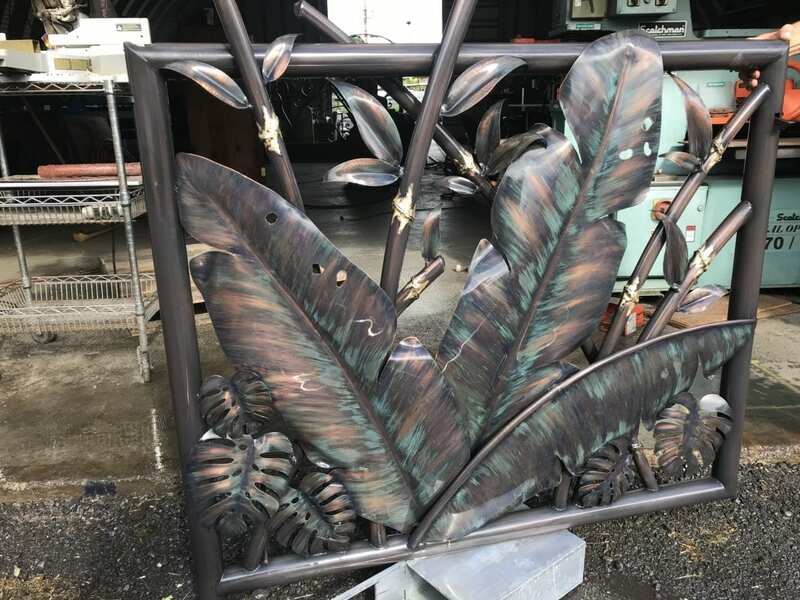 The gate and sconces were finished with a dark bronze patina accented with green, copper and brass highlights. We always enjoy working together with our clients collaborating on ideas and design. 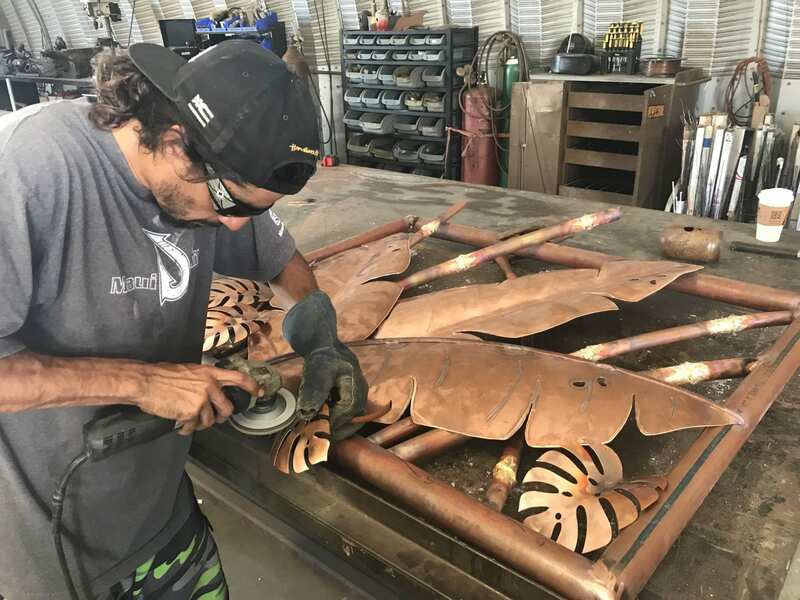 Watching the project as it unfolds in the Padilla Designs fabrication shop and seeing the vision come to life is what its all about for Padilla Designs Ohana. 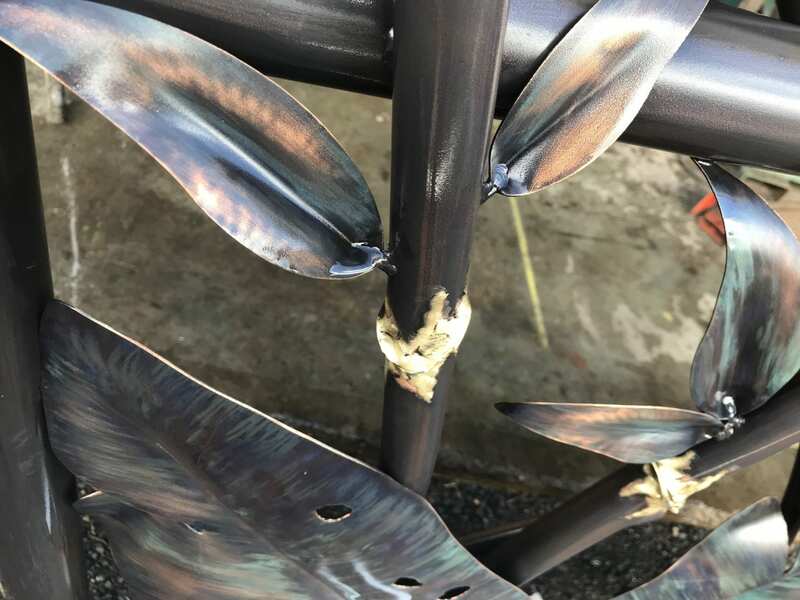 Fitting the pieces together for the pedestrian gate. 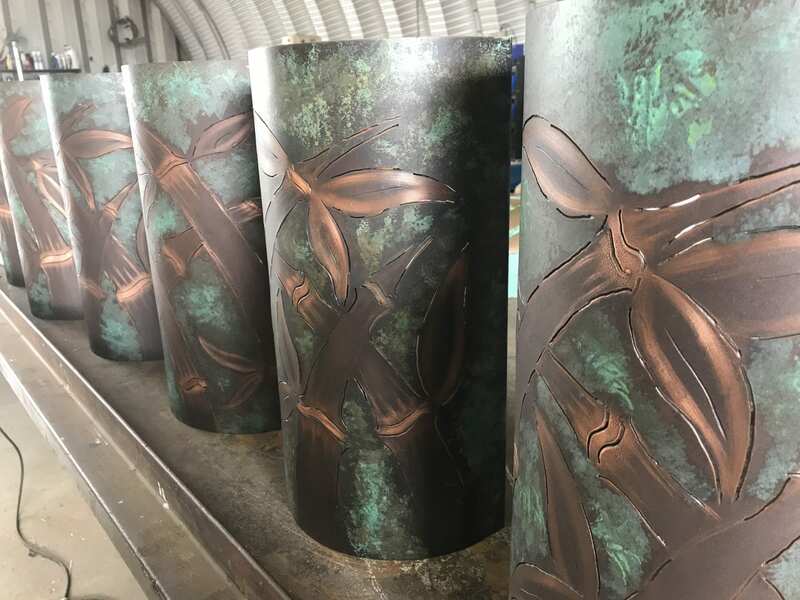 Detailing the sconces getting them ready for the patina process.